On the publication of Andrew Hacker's instant classic and bestselling Two Nations: Black and White, Separate, Hostile, Unequal, Newsweek described him as a "political scientist doing with statistics what Fred Astaire did with hats, canes, and chairs. he doesn't crunch numbers: he makes them live and breathe." Now, with the same keen, objective insight and wizardry with numbers, Hacker tackles the other emotionally charged issue that most preoccupies us, wealth and its distribution. Have women made real strides toward economic parity? Has affirmative action improved the economic status of African Americans? Does immigration really take jobs away from hardworking Americans? 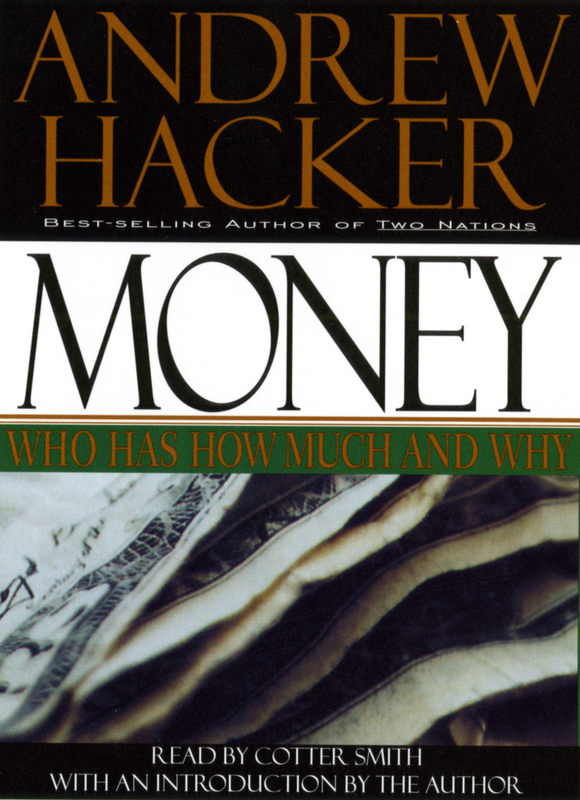 Hacker's answers are surprising and fascinating, illuminating the financial condition of every strata of America. Shattering all the taboos we have on the subjects of wealth, poverty, and worth, MONEY is essential listening for anyone who wants to know more about their slice of the American pie.